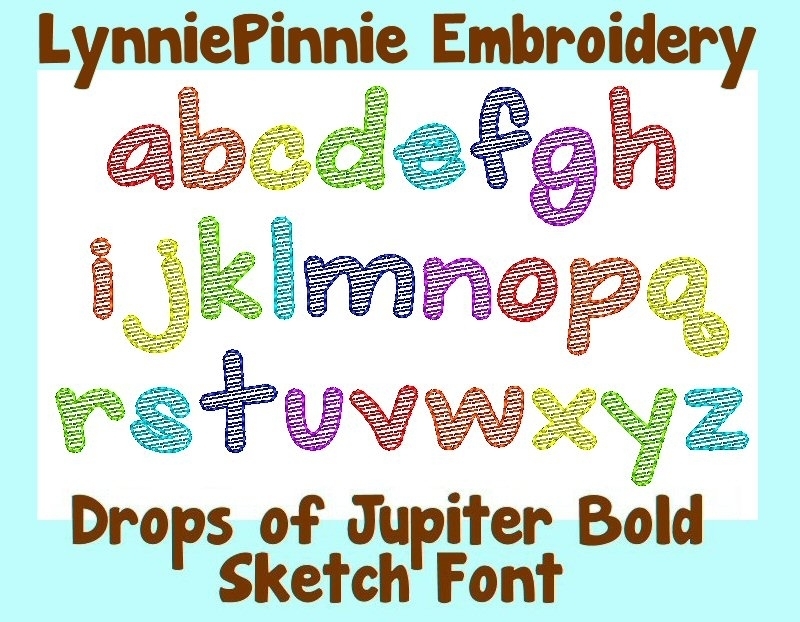 This fun sketch embroidery font is a quick and easy stitch out! 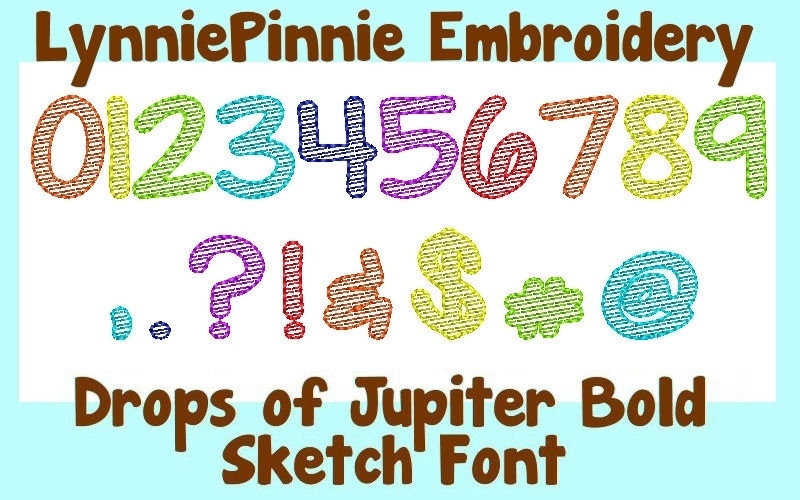 Includes 26 uppercase letters, 26 lowercase letters, number and punctuation. Sizes below represent the letter "A" in each size. 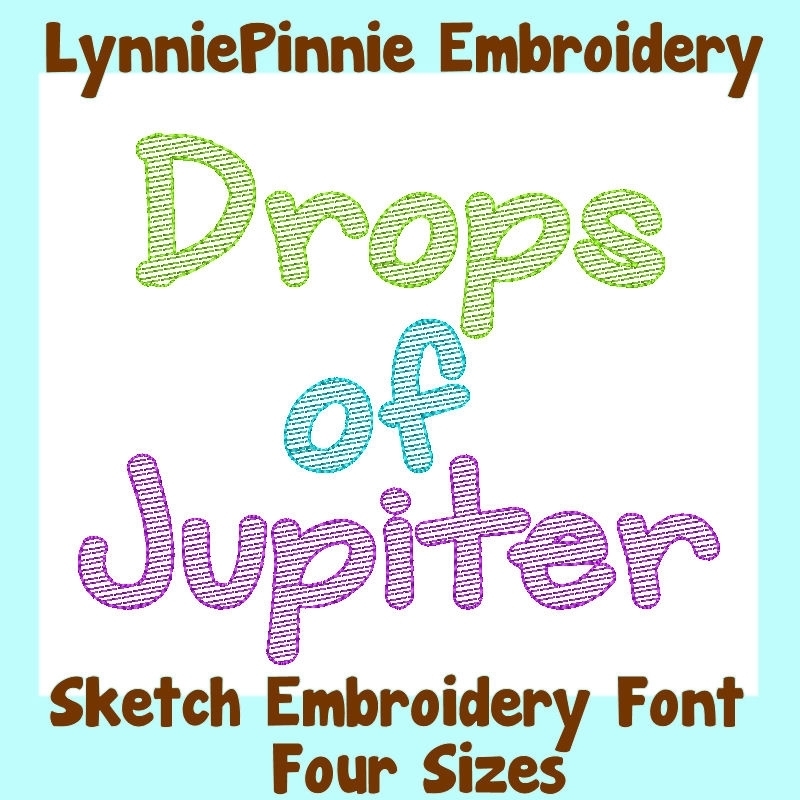 Let Us Love Applique - 4 Sizes! 3D Bow Girl Applique - 4 Sizes! 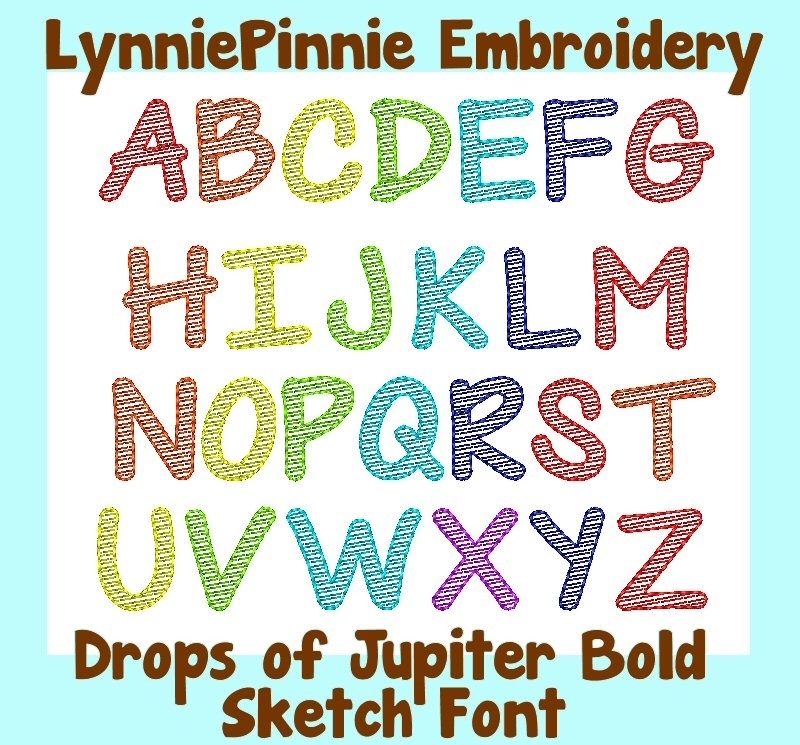 Finish Size: Uppercase A .89" x 1.01"
Finish Size: Lowercase A .66" x .63"
Finish Size: Uppercase A 1.33" x 1.52"
Finish Size: Lowercase A 1.00" x .96"
Finish Size: Uppercase A 1.73" x 1.98"
Finish Size: Lowercase A 1.30" x 1.25"
Finish Size: Uppercase A .44" x .51"
Finish Size: Lowercase A .33" x .31"